Be Careful, I Play Rough with Mimikyu, and Reign on People with Pelicans, with rain. Discussion in '7th Gen RMT' started by Psilo, Oct 31, 2018. Subtitle: "This team can phase even dragons!...because it does." "One of the Greatest Rain Teams Ever, to Reign over the Meta." I started this team with Dragon Tail Adamant Expert Belt Mew in order to have a starter phazer Mew which bluffs a special defog set and an SpA attacking offensive CM set. I rujn SD with waterfall adamant to have boosted se waterfall in rain within the current (ahahhaah, get it?...current like a waterfall?) prominently sun meta current-pphrase of meta. Zen headbutt is for STAB and hitting fighting types, since fighting meta is currently prominent, especially fighting build-archetypes sun teams as well. This team is made to counter and beat sun teams, which are currently one of the most prominent current-playstyles and (THE!) most prominent style of weather being run, with fighting type core-build sun teams being at the top of sun-team-build prominence-archetypes. This makes Mew perfect for E-belt-hitting fire types and E-belt hitting fighting types with Zen Headbutt in the current fighiting-type prominent sun-portion of Meta. I lead with Mew to explain the team since it is a lead bluff concept which phazes with a zen explanation and tails the team as a lead mon with a mood move of dragon tail which phazes pokemon to wear them down with hazards laid by Skarm. I run Mimikyu as a nephew brother to Mew since their related by theme and have good synergy, and since Mimikyu likes to hide and disguise itself like Mew. I run 237 SpD to sponge hits from Tapu Koko, since this is needed to take electric type attacks as well as Swampert-M on a rain team. I run 72 Spe for standard speed. 47 HP for extra spikes and SR switch ins. Leftovers is for extra recovery with the coverage hoe of drain punch, and 152 attack EV's is for hard-hitting with drain punch and a specific HP recovery with it, which is a fact made by the dividend and combined nature between the 152 attack EV's and 47 HP EV's to give a good HP recovery number from drain punch for Mimikyu 100% of the time. It's a perfect niche EV number for drain punch Mimikyu that I came up with myself. Drain Punch is also for hard-hitting Heatran after setting up, which walls this, without set up. I run bulk up as well for setting up on darks and dragons and play rough for STAB-hitting darks and dragons, which are ever-present in the meta. As well as for glue to the team, with a lower spe set-up mon. I run shadow claw for STAB-hard-hitting opposing ghosts. I run the pelican bird-mon Pelipper to run rain to Reign over sun (haha, get it?) (as in, reign with rain?) in the currently sun-dominant-meta for Reign (haha, get it? ), rain (the weather!) over Sun(!). This is literally to rain (and reign!) over sun with a slower Pelipper than the sun-setters of Ninetales and Charizard-Y to REIGN with rain OVER the sun predominant meta with other hard-hitters like the hard-hitter sweeper e-belt SD adamant Mew with waterfall for boosts of rain to adamantly (get it?, like the nature of my Mew, ahahahaha!) REIGN over all the meta with rain and hard-water-hitters like E-belt sweeper Mew and M-Swampert for a swift swim and hard-water-STAB-hitter in rain in order to pair a fast/hard-hitting sweeper of M-pert with a slower...slower-paced, sweeping hard-hitter-setting-up Mew. Hurricane on Pelipper is for STAB-hard-hitting opposing grass-counters that threaten rain teams with waters. Hydro Pump is for STAB-hard-hitting the Meta, as a whole, as well as, opposing fire pokemon, and for plowing down sun teams. Ahahahaha, get it? "Plowing down?" Like in the way Hurricane plows down grass teams. Ice beam is for grass and flying coverage, and (all!) meta coverage as well. Roost is for recovery for multiple switch-ins to set up multiple turns of 8-turns long-rain since I run Damp Rock, which makes this more efficient and gives more switch-ins by synergistically working the use of roost on this set with defog Skarmory. Little known fact btw, since defog is flying type, there is a hidden mechanical mechanism synergistic effect and affect between defog and roost, so know this all serious competitive (AND! ), in-game loving hardy (ahahahahaha!) nerdy battlers on the nerd side of things. It's a hidden fact by GameFreak, to be implemented in later gens of competitive gens after this one. So be excited to be on the lookout for that. Because it will make new gens and all comp meta more interesting, which is part of why I built this team, to hint at this hidden mechanic between these two moves, because I'm curious myself since I read about it from GameFreak. I run 129 HP for SR and spike good switch0ins and a good HP number. Earthquake is for hard-hitting the meta with the concept of it's word and title with a STAB-hard-hitting EQ'ing ground pokemon. Ice punch is for grass, flying, and dragon coverage. But, it's for flying first. And then grass, and then dragon. Waterfall is for water offensive, hard-meta-hitting (All!) the Meta, especially sun. Power-up punch is for hard-hitting set-up with adamant max attack, since this low power move hits hard with adamant and max attack on M-pert to make it a fast offensive and hard-hitting and effective fast-non-set-up sweeper. 127 speed is for outspeeding the most well-known scarfers of current meta, which has to be the case for this team since it has no scarfers. This is necessary since the meta requires M-pert to be an offensive hard-hitter on this team. Power-up punch also replaces SD and bulk up, which used to be viable and allowed for M-pert in earlier metas of the current gen. It's also better since it hits fighting types to abstractly hit fighting archetype sun teams. I run Tapu-Fini to dual-fairy-tize this fantastical meta to combine the idea of fantastical fairies with fantastical "Pokémon meta since the concept of Mimikyu is a fairy and ghost pokemon that likes to hide (and!) disguise itself, just like ghosts and fairies do. These two form a dual fairy coverage core for (ALL!) the entire Meta combined with the third-spoke wheel trier-third-tier hierarchical architectural mural spoke-wheel support pokemon of defense roost support stealth rocks and spikes Skarmory. I run 129 HP for a good defensive HP number for modest and hard-hitting specs on this Tapu Fini. 252 SpA is for making Tapu Fini a moderately fast and hard-hitting wall with the 129 HP investment I came up with. Also for hard-hitting water intimidation and fairy offensive intimidation coverage, I use STAB Hydro and dazzing gleam for coverage on this versatile specs set to literally (DAZZLING GLEAM!) *(quotes to mark this as an actual little known constructional tactic only mostly known by upper up players)* all the meta. As I hinted in the previous quote, this is little known as an actual battling tactic as well as a move on certain fairy mons. I run Shadow Ball for ghost and psychic coverage. I run defensive support roost Skarm with defog to support Pelipper for many switch-ins and not nil the effects of roost, and to take advantage of it instead. This is to prolong how many turns I have rain, and reign with it, a hidden theme of the sub-theme of the title of my team. 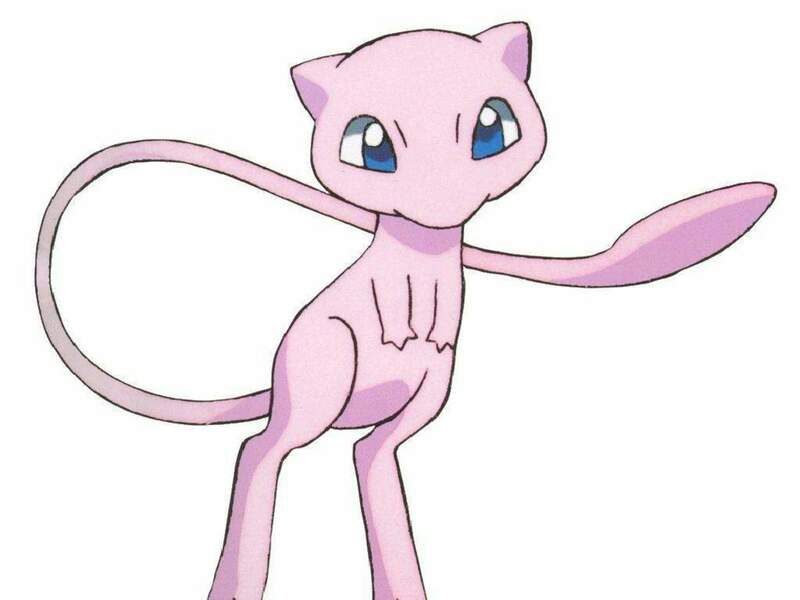 I have stealth rocks and spikes to set for d-tail Mew, for wearing down the entirety of teams to win. Spikes and stealth rocks with a phazer are always a sure-set win condition, and make winning games very sure and easy. I run Impish to have this as a steel and third-spoke wall. This is a winning-wall that can stall out teams in the end as well since it has roost and moves with high PP. That is to say it can win easily in a stall match when both players are down to one mon. 207 HP EV's is for a powerful HP amount number. 72 spe is for classically-moderately outspeeding similar-speed-tier pokemon. Conclusion: This team, in addition to being a perfect rain team, and perfect rain counter for all the meta, and perfect combat counter to the predominant sun meta (especially sun teams with fighting archetype builds), is a perfect counter to the current dragon-heavy meta as well, with the combination of my two fairy mons, Tapu Fini and Mimikyu, as well as with my steel defensive wall-pokemon, Skarmory to antithetically combine with the concept of a non-dragon d-tailer with e-belt to phase even dragons. And by the phrase "phase even dragons," I also mean that as a languagological simile to say that this team can play tricks on even some of the best players and get you very high on the ladder, so some can consider this a #1 ladder team by hypothetical forefact, which is a concept of very good teams before laddering to #1 with them. So by saying that, I wish to give this team the subtitle, "This squad can phase even Dragons!" Because it just occurred to me. And by "even dragons" I also mean, some of the best players with the calmest mentalities, which can sometimes be hard to beat, unless you are calm like me. Great replay of an excellent game against Rairyan, who's as always, a great battler, and a very good team builder. Guys, seriously, good rates only please. I'm tired of people making comments on these to people whom are good enough to form and come up with their own custom EV's. It's annoying. Good rates only are appreciated. Custom EV's are a thing, EK, so you should know that. Limit your non-essential rates to people who can't tell the difference between good rates and bad ones. I only appreciate well-constructed rates and responses to teams like these. Also, you hinted you didn't know much about singles, so why would you even make that comment if you don't have the knowledge to back that up? Hmmmm, I should really petition with others to limit RMT to good respectful rates, because that's what's expected of the site, and all I post with, so others should as well. Oh, and I did explain my EV's, so you should've read better, unless you just posted that to be annoying, which I have noticed people doing on this site these days. Site etiquette is important people, so follow it. Comments like EK's where they don't contribute are detrimental to good site respect, so be nice people. It's a respect of all clan etiquette. I am very serious when it comes to EV's since good EV spreads are a very important thing to team-building. Not having standard 252, 252 EV's doesn't mean they don't make sense. That is the most preposterous thing I've ever heard from anyone, EK. I mean, anyone! And I'm laughing about it because it's such a stupid notion. So please only have good rates for people. And have politeness for good and kind players whom are serious about etiquette, like me, and others. It was very rude of you to suggest I don't know team-building because I am actually known for being very good at it. Some would say this team is excellent. So your response proves you don't know much about competitive battling, which disappoints me because good battlers like me don't have anything bad against anyone and really just only appreciate good battles and cleverness. The attitude you displayed in your comment is very disappointing. So be more apt to be polite and leave an actual good rate next time. Oh, thanks. Please leave good rates other raters and players! I am not against criticism btw, which is why I posted the team and so desperately ask for (GOOD!) RATES. For this already excellent team, because even it can use advice. LOL Many good players I talked to already said this team was good btw, which is also why I posted. So thanks for posting with good discussion. I love rates, advice, and criticism! Which is why I play, battle, have fun, and post rmt's. So thanks for the rates, anyway! Have a blessed day! Oh, and custom EV's are very important for everything in team building, especially stall teams, so keep that in mind since you play, ek, I just built a stall team to rmt later to prove this, as I was inspired by the bold-headedness of your post ek, I'll post it in a week or two cus I don't want to over-post in rmt. Have a blessed day, poster above me, ek! *Note to admins, I did not double-post. The other poster deleted his post. No, and this team is great! So please have respect! I started this team with Dragon Tail Adamant Expert Belt Mew in order to have a starter phazer Mew which bluffs a special defog set and an SpA attacking offensive CM set. I rujn SD with waterfall adamant to have boosted se waterfall in rain within the current (ahahhaah, get it?...current like a waterfall?) prominently sun meta current-pphrase of meta. Zen headbutt is for STAB and hitting fighting types, since fighting meta is currently prominent, especially fighting build-archetypes sun teams as well. This team is made to counter and beat sun teams, which are currently one of the most prominent current-playstyles and (THE!) most prominent style of weather being run, with fighting type core-build sun teams being at the top of sun-team-build prominence-archetypes[you've already talked about fighting types and sun teams in this way]. This makes Mew perfect for E-belt-hitting fire types and E-belt hitting fighting types with Zen Headbutt in the current fighiting-type prominent sun-portion of Meta. I lead with Mew to explain the team since it is a lead bluff concept which phazes with a zen explanation and tails the team as a lead mon with a mood move of dragon tail which phazes pokemon to wear them down with hazards laid by Skarm. Hurricane on Pelipper is for STAB-hard-hitting opposing grass-counters that threaten rain teams with waters. Hydro Pump is for STAB-hard-hitting the Meta, as a whole, as well as, opposing fire pokemon, and for plowing down sun teams.Like in the way Hurricane plows down grass teams. Ice beam is for grass and flying coverage, and (all!) meta coverage as well. Roost is for recovery for multiple switch-ins to set up multiple turns of 8-turns long-rain since I run Damp Rock, which makes this more efficient and gives more switch-ins by synergistically working the use of roost on this set with defog Skarmory. Little known fact btw, since defog is flying type, there is a hidden mechanical mechanism synergistic effect and affect between defog and roost, so know this all serious competitive (AND! ), in-game loving hardy (ahahahahaha!) nerdy battlers on the nerd side of things. It's a hidden fact by GameFreak, to be implemented in later gens of competitive gens after this one. So be excited to be on the lookout for that. Because it will make new gens and all comp meta more interesting, which is part of why I built this team, to hint at this hidden mechanic between these two moves, because I'm curious myself since I read about it from GameFreak. Hey It's great that you believe your team is 'already excellent', but appreciate that not everyone else will think the same! If nobody could say anything 'bad' about a team, then RMTs as a whole wouldn't be very useful. The whole point is to acknowledge that other people may have recommendations as to how the team can be even better. I should say good job on the presentation of this compared with the previous one, a lot easier to read, thanks for paragraphing and adding images This said, it is still hard to read the descriptions in places (too many puns breaks the flow and you repeat yourself a bit). Alright, a few things I want to highlight here (in bold). 1. Explain why you chose your EVs to be: 28 HP / 252 Atk / 228 Spe , instead of a more simple offensive spread of 4 HP / 252 Atk / 252 Spe. Remember that MetalSonic and I raised this in your previous RMT: it is super important that you justify why those 28 HP EVs are important on your Mew. Is it to live a certain attack? This needs an answer!! If this is a phazing set with Dragon Tail, you might want a more EVs in HP and Defence and not Attack, since it sounds like the hazards will be doing more of the work for Mew. 2. You mention a sun and fighting-type prominent meta a bunch but you don't say which meta, or any fighting types you had in mind for this set. Sun and Fighting types (last time I checked anyway) are currently uncommon in OU, so it would be great if you were a bit more specific here as well. 3. Concerning the set itself:Is Mew a Phazer or a Sweeper? If you really want to use Mew as a phazer with Dragon Tail, consider a recovery move like Roost instead of Swords Dance. since Mew will be fainting very quickly otherwise. I'd also be tempted to run a special moves (such as Scald and Psychic/Psyshock ) instead of waterfall and zen headbutt, since scald burns allow you to inflict more passive damage alongside skarmory's hazards, whilst letting you click dragontail more freely verses burnt physical attackers. Also: Landorus-T's Intimidate will often be reducing the power of both moves. Zen Headbutt can also miss, which could be bad against some some strong types in the meta such as Hawlucha and Mega Lopunny, who have the ability to 2hko this offensive Mew. OR replace dragon tail with another move, and teach skarm whirlwind, and let that be your phazer instead? Basically,I think you should choose between a SD sweeping offensive Mew or a defensive Dragon Tail Phazing one, as the set currently tries to do both. A tried-and-true offensive Rain Core this generation, your movesets look fine. Pelipper's description was very hard to read though: try to stick to the just explaining the sets! Again, the reason why your EV spreads look the way they do is missing, or only half explained. What's the fastest significant scarfer that Mega Swampert outspeeds, for example? And WHY 127 EVs? Stats only increase by 1 point per every 4 EVs, in other words you are wasting EVs by not setting it to a multiple of 4 like 124 or 128. You give odd EVs to a bunch of the team and it makes no sense. EXPLAINNN. Note the damage taken is exactly the same for both Mimikyu! Your EV spread (top) wastes EVs, unlike the bottom. Regardless,taking damage between 48% and 57% is not what I'd describe as 'spong[ing] hits from Tapu Koko'. This calc is a potential 3hko, but this assumes a lot of things about Tapu Koko: no life orb, no choice specs, no electrium Z and finally, not physical. we can say that there are better ways of beating Tapu Koko than Mimikyu. Unless there are other reasons you are using Mimikyu other than Koko, I'd suggest a replacement Koko answer in this slot! Definitely run Moonblast over Dazzling Gleam, there is zero reason to run Dazzling Gleam on Fini unless you're in doubles. Moonblast hits harder(95 BP, not 80 BP, and has a high chance (30%) of lowering special attack. Apart from EVs, set looks alright providing you avoid taunt users. As said in Mew analysis, Whirlwind might work somewhere, so that you actually force damage on your opponent and prevent them setting up on you, should they realise you cannot touch them. Whirlwind would be an option over spikes or stealth rock (roost and defog seem too important). 1.Your EVs should be allocated to stats in multiples of 4. If they aren't you waste EVs,simple as that. 2. The team is very electric weak. Your Mimikyu is only a check to Tapu Koko with Disguise intact. Swampert only beats non-GrassKnot variants. You need a good electric switchin not weak to grass or ice. 3. Ferrothorn does very well against your rain team, so find a good way to defeat it. A good grass type is probably the place to start,replacing Mimikyu. Something able to face off against Tapu Koko and stalemate Ferrothorn. Off the top of my head: Grass or Grass /Poison types like Tangrowth/Amoonguss/ Vileplume. I could go on but I think that's enough to begin with!!! I like the idea behind the team, and personally see room to make it better at handling some of its current weaknesses.